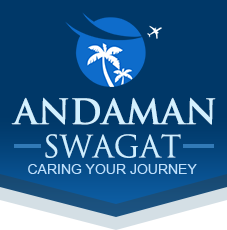 Andaman Swagat is one of the responsive and responsible Tour and Travel Agents in Port Blair (Andaman & Nicobar Islands, India). We offer brilliant domestic tour packages to our clients, according to their requirement. We also provide travel related services such as Airline Ticketing Services, Rail Ticketing Services, Cruise Booking Services, Hotel Booking Services and Car & Coach Rental Services for clients ease and comfort. We also offer efficient travel solutions to our clients so that they do not face any sort of inconvenience while traveling. All our services are highly flexible and we make sure that we exceed the expectations of the clients. Since establishment in the year 2013, Andaman Swagat has witnessed meteoric growth courtesy the headship of Mr. Sukanta Pal, who is the C.E.O of the company. Under his valuable guidance company that is running very successfully. We have a team of highly experienced and skilled employees with us that aim to provide the best quality services to our clients. We work dedicatedly to satisfy our clients. We also offer theme-based tours such as Adventure Tour, Wildlife Tour (Only Sunderban Doars), Cruise Holiday Tour, Beach Island Tour etc. We make sure that all your requirements are fulfilled within your budget. We work with a motto â��Gain your trustâ�� as we offer transparent deals to our travelers. To show Andaman Islands for what they are and to satisfy our guests in order to spread excellent word of mouth goodwill.